Private investigator Brian Wolfe may be based in Southern California, but his New England roots are unmistakable, thanks to his pronounced Boston accent. 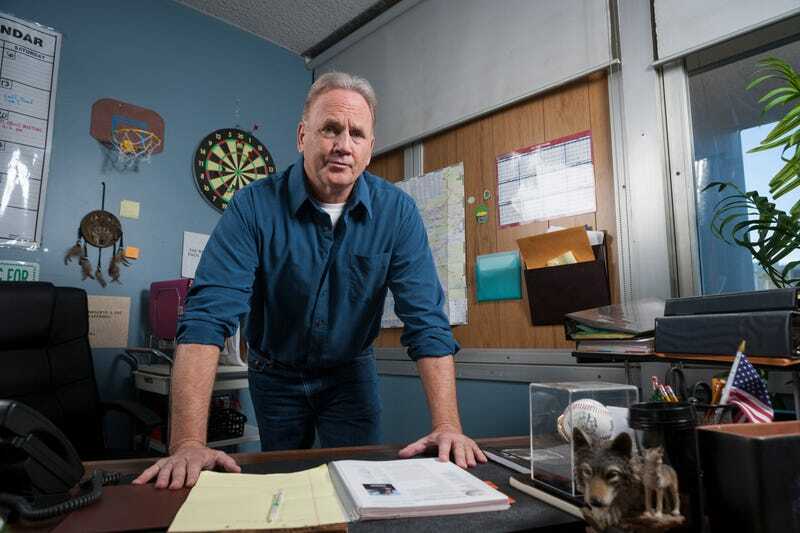 In the detective biz since 1990, his colorful career now provides material for his Investigation Discovery TV show, Cry Wolfe. Though he appears alongside actors, Wolfe doesn’t work from a script, and he assured us that his TV persona is authentic to the no-nonsense guy he is in real life. We caught up with him to learn more about what goes into filming Cry Wolfe, and what it’s really like to be a P.I. io9: How did the TV show come about, and how do you choose the cases that are featured? Brian Wolfe: I got really lucky. I was on Comedy Central, on a show called Nathan for You. The next thing I knew, I started getting phone calls from different people, I had a tryout, and they chose me [and to make Cry Wolfe]. I provided my case files to the production company, the first season, maybe 25 or 30 of them, the second season, [the same], and they choose which cases they wanted to use. Everything is unscripted. What you hear from me is on the fly. The only thing scripted is the actors; I’m just the same guy on TV as the guy you’re talking to right now. Every case you see, it’s step by step what really happened. I’m hands-on with a lot of things now that it’s my second season. If they want me to change something and I don’t think it’s right to say that, [I will let them know]. The directors, they’re not investigators. They don’t know what we do out there. What’s the most common type of case you’re hired to solve? I would say 75 percent of my work right now is fraud investigations. The other 25 percent is security, missing persons and runaways, infidelity, con artists. What’s the craziest case you’ve ever been asked to solve? It varies. The one that’s coming up this week [“Organ Trail”] is pretty crazy! Typically we wouldn’t take that assignment. Typically that would go to the police department. But the ones that are the most rewarding to me is locating missing persons. Kids who are abducted when they’re four or five years old, and when I find them they’re seven, eight years old. Those are the most rewarding, along with [finding] runaways. On “Organ Trail,” we see you going to some pretty serious lengths to gather clues, including diving into a dumpster. What are the most insane things you’ve had to do to solve a case? I do a lot of trash dumping! I could go to your house, find out the day the trash is being picked up, come back that night or four or five o’clock in the morning, and go trash dumping. A lot of people don’t shred things. I tell people, “You gotta shred things, because a lot of evidence is right there in your trash.” I know what you ate last night. I know what you ate the night before. I know your financial situation, if that’s what I’m out there looking for. One time I flew out to Vegas, and I convinced the custodian to give me the trash at two o’ clock in the morning! There’s a lot of information in the trash. On Cry Wolfe, your assistant, Janine, is often seen working out of the office, handling the online side of sleuthing. How has technology changed the private investigator business? It’s made it a lot easier. It’s now a lot easier than locating people the old-fashioned way [especially with the prevalence of cell phones]. As for my assistant, it’s fortunate that the younger generation is [so tech-savvy]. If I say to Janine, “I think we need to do this, this, and this,” she’ll say “We can do that,” and it’s done. In the old days, I’d wish I could do those things, but I often couldn’t. I’m OK on a computer, but I’m more of a hands-on, on the street type. If someone came to you and said they wanted to become a private investigator, what advice would you give them? Do you recommend it as a career? I would recommend it as a career, because it’s rewarding to yourself to help people out. People cry out, they reach out for help. And when it comes down to the bottom line, if you can’t solve your own issues, consumers reach out for private investigators. What I tell [young people] is, find a company that’ll be willing to train someone right out of college, and go from there. Be very social. Be aggressive. Be articulate and serious, and tell the [agency] owner, “I’m the guy you want to hire.” I only hire licensed people now, with prior experience, but there are some companies that are much larger than mine, that are willing to hire people even right out of high school, though they do like them to have a college degree. But if you want to be a private investigator, prepare yourself. There are a lot of long hours in your vehicle. It’s tough for somebody who’s married because you’re out in the field all day long. Sometimes, it’s 12 or 14 hours out in the field. And in some situations, it’s very dangerous.